Visual Studio Team Services is the formally know Visual Studio Online. The old name brought a lot of confusion I think the new name will do a lot better. 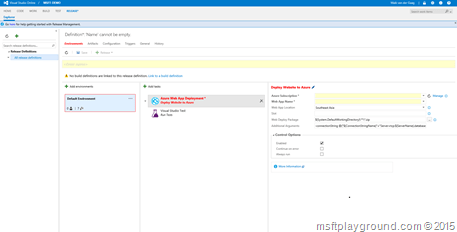 Yesterday they announced the Public Preview of Release Management in VSTS named Release Management Service. This service will help you automate deployment to multiple environments. If you have ever worked with the On-Premise version you will know that it is easy to setup and it gives you the option to visualize and track the progress of your deployment. Check-in code in Visual Studio Team Services. Setup a build for your source code. 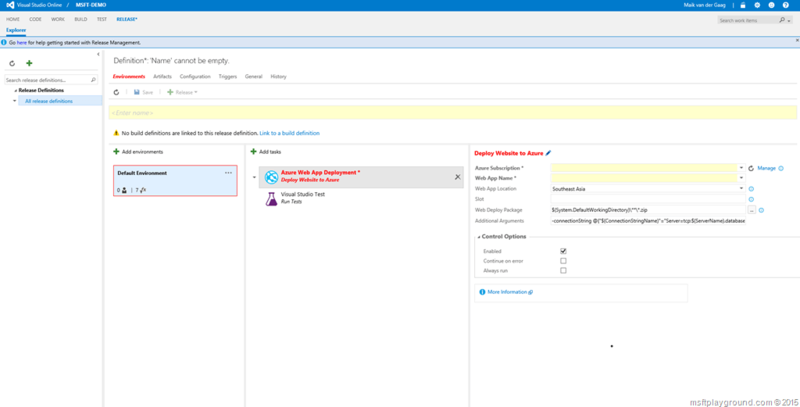 Add a Azure Endpoint to VSTS.